You have been very productive. Love all the garments you've made. Also just wanted to say thanks for your support when I've pestered you with sewing questions. You've been a great help :-) Happy Christmas to you and your family. I love all of your makes this year Jane. I think my favourites are the grey flower peony and the plain grey one. You always look so lovely - you really seem to know how to put outfits together! I look forward to seeing what you make next year! Happy Christmas! Great post! I love seeing the year put into a round up. All the clothes are pretty and well executed, but I have favourites! I particularly like your polka dot dress and your cherry halter dress. Happy Christmas to you and your family, Jane. I love seeing your sewing creations...you're always so inspirational! I have been following your blog for a little more than a year now and I truly admire your work and how you are not afraid of trying new techniques or acknowledging when you're less than happy with a make. I really enjoy reading recap posts, I always find it very interesting to learn more about the life of those garments: what really happens to them past the "fashion" photo for the blog? I like to know if a pattern or a fabric has been practical or has made you smile when you pull it out of a wardrobe! I'm looking forward to seeing your plans for 2013! Merry Christmas to you and your family! ooo lovely post! I totally agree with ur first lesson learnt and will keep this in mind too in the new year! and I will also plan my makes more to fit in more with what I actually wear! :D great post and happy new year! You has a very producted sewing year. Merry Xmas and I am looking forwad to see more from you. Excellent round-up! You have made some truly wonderful items this year, and it's interesting to see how you feel about them after some time has passed. Looking forward to seeing what you do in the next year! You've been so productive this year! I love how so many of the things seem to be in regular rotation. I didn't sew nearly as much in 2012 as I hoped, and I felt I spent a good time flailing about but I feel I suddenly have lots of ideas for next year. I'm going to assess the things I sewed and knit and see what reflections I get! What a fantastic sewing year you've had! Can't wait to see what's coming next. Wow, I really like this post and am starting to fall in love with your blog! Can't wait to see more of you in the new year! Merry Christmas! Everything is so lovely, my favourites are the Peonies, especially the first one. Santa is bringing me the pattern, so I shall use yours as inspiration! Merry Christmas!! Your lovely Peonies are inspiring me to try this again and maybe lower the neckline... I'm wearing my Peony Frankenpattern today, and thinking it's maybe not as bad as I originally thought LOL. I can't decide if my fave is the first Peony, the shirt-dress, or the cherry dress! They're all lovely. I really enjoy seeing end of year round ups. You made so many lovely things this year, Jane! I love, love all the pops of red :) I really love the polka dot shirt dress and the cherry print dress. What a lovely post, Jane. And I feel just as you do, that it's not the details but the process. I think that's what I have really taken to heart in the past year and my sewing output has been so much more, and I have had so much more fun. And yes to dresses - MOAR DRESSES!! I love the Abbey Coat and your halter dress. I put a link up to your spotted dress on my latest post of you guessed it...a spotted dress. I'm so glad to have had the chance to meet you this year! It's been lovely following along with your projects. I heartily agree on lessons #1 and 5! Jane, I can I make a suggestion. I love some of the stuff you sewed and didn't like. Why don't you make a competition for people who want the stuff you don't want? I am sure most of us would be more than happy to pay the mailing costs. Your year been amazing... I loved been part of your journey and all your garments were so inspirational and your coat is my fav item you made. All of your creations are lovely! And lovely on you! I would be wearing that coat every chance I got, too! Wow, you've sewn so many really great pieces. I think I like the coat the best. What beautiful garments you have made! Question: When is a Mad Men Wiggle dress not a Wiggle Dress? Answer: When it is a shirt dress!!!! 1. You look fantastic wearing it! 2. The colour lights up your face and compliments your hair and eyes! 3. Take a look at the photographs again. 1. Your fab red belt? 2. Opaque tights and flat pumps? 5. With a scarf drapped around the shoulders? It would be a great dress for shopping in, meeting friends for coffee,going to a gallery/exhibition or going to the pictures. Going out when you want to feel a bit more glam than usual. My mother used to call garments like this 'going to town' outfits! I came across your blog by accident in the summer and am now an avid fan. You have motivated me to do a sewing course where I realised I remembered far more than I thought I knew. It has helped me to reorganise my life to make a little space for me, although at the moment it is only a small window of time but it is better than nothing, a start. My next step is to create my own blog! Eek!!! I was going through a bad patch but discovering your world, and other like minded creaters, has helped me to get back on track. Thank you for inspiring me to get back to sewing. Here's to happy creative sewing in 2013. Happy New Year. i have to agree with Kitkat Krispie in that you have made some fab clothes, you always put stuff together perfectly! 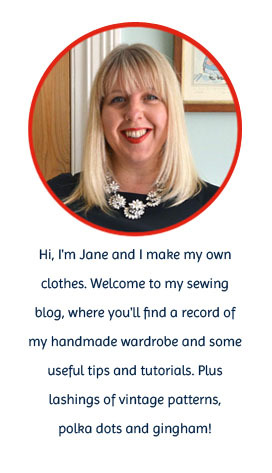 you have inspired me to start sewing again and i always check in on your blog everyday to see what is new. on the down side,(my husbands down side) i have spent a fortune on fabrics and patterns, but i say that i wont buy any more clothes, just make them!! ha ha i think i will still sneak a ready bought item into the house! !